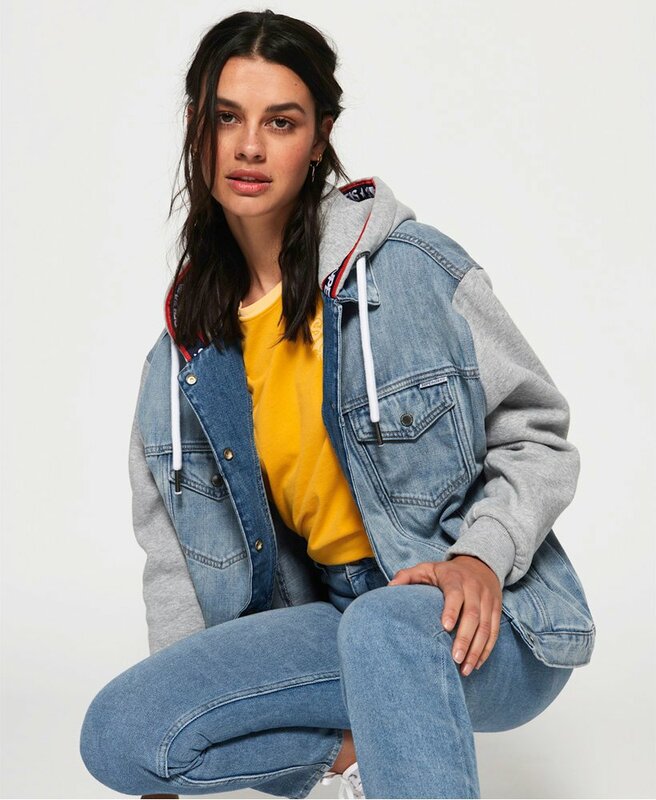 Superdry women's Denim Sweat Jacket. A classic denim jacket with a twist, designed with sweatshirt style sleeves and hood. This jacket features a main popper fastening, drawstring adjustable hood, two open front pockets and two popper fastened chest pockets. Finished with a Superdry logo badge on the hem.